I often find myself looking for chapter symbols and icons from the Warhammer 40.000 univers when drawing. So I decided to create a database of vector icons, to make this easy accessible for anyone. I have started out with the Imperial Aquila and the chapter symbols of the loyalist Space marine chapters. I will try to add more as I go along. SVG is a great standard for vector graphics, making it easy for you to scale the icons up and down to your need. They a Illustrator and Photoshop friendly, or any other program you might need. If you have any nice svg’s lying around you would like me to add, leave a comment and let us see what we can make happen. The idea here is that more is better! 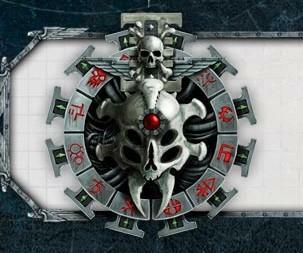 Of course all right to symbols and names belongs to Games Workshop. Thanks for the logos, I used the inquisiton one to design my 3d thingie. Looks great. Would love to do some more 3D printing at some point. Hi, awesome stuff, thanks. Could you do a Rogue Trader Icon please? Hi Wayne, Sure, I’ll look into it and hopefully get around to make something within a few days. I created a project about Warhammer 40.000 vector icons and icon-fonts. It uses many icons from yours. hi, If it’s OK with you, I hope add you as the collaborator for that repository. These are all copyrighted Games Workshop, so the are to use for hobby purposes, not commercially. Thanks, that great to hear. The Skitarii icon is really nice, I’ll look into that shortly. GREEEN IZ BEST!!! ORK SYMBOLS PLease! ALSo need death korph Krieg and Steal legion!! Amazing work! I found a few chapters missing: deathwatch and grey knights. It a pretty cool symbol you link to. I will give it a go sometime in the coming weeks. Could you make white versions of the emblems at some point? These are great! I’ve used a few as part of some 3d printing projects I’m working on. Is there any chance we could get an Adeptus Astra Telepathica one? Sir, Could you create the kill team logo with the skull and knife in svg? I am planning to create a printable Command point/Victory point marker and I would use that as a logo for that one. Wonderful! You are the best! Best way I can think of describing it is a ring with major and minor compass points done as flames. Can’t edit comments…. Awesome work and thanks. I am going to be using the Death Guard and Thousand Sons symbols to design and 3d print Kill Team objective markers. I will add other comment to the Thingiverse design once I am done so you can see you work put to use. A compilation of your icons, and some created by me. Enjoy! Hey, I believe we have a full house now. Thet a all tags Adeptus Mechanius, so easy to search. This is a great job, thank ou very much. I´ll suggest you the role icons. Thanks for an AWESOME resource! Thanks for the suggestions, I’l add them to the list. These looks great, thanks for sharing! Hey Farvig, I’ve just posted a make to Thingiverse of my first dice box for a Dark Heresy game. I added a link to this page in the description! How about a Steel Legion lightning bolt in the circle? 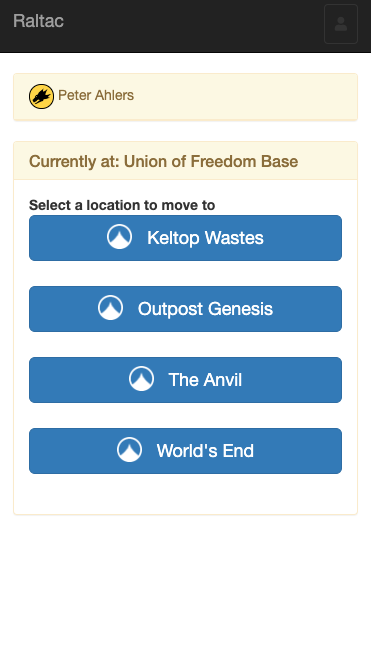 I’m using some of the Icons in a system for playing Warhammer 30k with the Raltac Rules, where you have multiple tables representing battlefields, and players can (real time) move from table to table.